More Fraud at Tenet’s DMC? The Detroit Medical Center (DMC) Heart Hospital’s top doctor and several cardiologists are the latest to complaint about poor patient care at the facility. On Monday the hospital asked three physicians to resign leadership roles allegedly for violating the hospital system’s standards of conduct. Other physicians say, however, that those doctors were disciplined for standing up and complaining about poor patient care. The physicians involved are Mahir Elder, Amir Kaki and Tammam Mohamad. Dr. Ted Schreiber resigned last week. Schreiber was the hospital’s director of cardiovascular services and the facility’s top doctor. DMC is owned by Tenet Healthcare Corporation, a for-profit $19 billion healthcare giant that operates almost 500 facilities in the United States. In our opinion, it is also one of the largest fraudulent enterprises in the United States and a frequent offender. The stories from physicians within the system paint an ugly picture. They say problems at the facility haven’t improved. Physicians are afraid to speak up over fear of being fired. Mahir Elder MD told the Detroit News that after he complained he found his email credentials were revoked meaning he couldn’t share his concerns with other physicians at the hospital. He also says that many doctors have approached him privately to thank him for speaking up. We have no illusions that things will soon change at Tenet or Detroit Medical Center. Thus far a Senate investigation, dozens of lawsuits and billions in fines haven’t worked. Getting media attention is the first step and we applaud the Detroit News for covering the many failings at DMC. DMC is a big recipient of both Medicare and Medicaid. Each time the hospital submits a bill for reimbursement, it certifies that it complies with state and federal healthcare regulations. We suspect it is not in compliance, however. Poor patient care? Kickbacks? These are not new allegations to Tenet. And if present at DMC, they could mean a successful False Claims Act prosecution. Why Would a DMC Doctor or Administrator Want to Become a Whistleblower? There are several great answers to this question. First, a False Claims Act (“Qui Tam”) lawsuit is the best way to get things done. Speaking to the press, calling the Medicare or Michigan healthcare fraud hotline and writing letters to politicians are helpful. Unfortunately, CMS and the Michigan Medicaid Fraud Control Unit are swamped. They can’t keep up and investigate every complaint. By filing a False Claims Act complaint, however, the allegations of wrongdoing go to the top of the pile. A pending lawsuit carries deadlines and an obligation for regulators to either investigate and prosecute or let the whistleblower’s own legal team prosecute. A second reason to file a qui tam whistleblower action are the anti-retaliation provisions of the False Claims Act. Congress anticipated that some wrongdoers would attempt to punish whistleblowers. That is why the law has built in anti-retaliation provisions that include double damages and make the wrongdoer pay for your lawyer. The state also has protections. Mich. Comp. Laws §333.20180 protects employees of health care facilities who make a report or complaint about a violation of statute or rule, or who assists in the investigation of such a violation. The state’s Whistleblower Protection Act (Mich. Comp. Laws. §15.361) protects individuals from retaliation for reporting or preparing to report a violation of local, state or federal law. A third reason is the availability of large cash awards. Under both the state and federal False Claims Act, whistleblowers who are the first to report can receive an award of between 15% and 30% of whatever the government receives in fines and penalties. The law allows the government to impose triple damages and penalties of up to $21,000 per each false bill submitted. Those penalties can add up quickly. Normally the government doesn’t impose the full measure of penalties, especially for first time offenders. Tenet is what we call a “frequent flyer,” however. In August 2016, the Tenet paid $513 million to settle criminal and civil charges revolving around illegal kickbacks. The company was entered into a corporate integrity agreement and forced to hire a federal monitor. The 2016 case primarily involved Tenet’s operations in Georgia. How did that case come to light? A whistleblower who received $84,000,000! And the filthy “sterile” instruments case? Also a whistleblower. “Georgia took the lead, and the feds followed, with the criminal folks at the Justice Department showing up after that. Without a whistleblower, a tenacious private lawyer, and state intervention, it’s not clear the federal government would have had taken the time to fully understand the scope of this fraud. “Tenet has a very bad track record in the fraud arena. This is a hospital company that was nailed for such a massive fine under the False Claims Act that it changed its name to Tenet Healthcare to reflect its new ethical ‘tenets’. The company then went ahead and designed the largest hospital fraud in history for which they paid $900 million after ripping off the government more than $2 billion. Now Tenet has been nailed for another $500 million and tagged with a criminal charge as well. 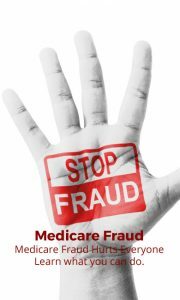 Do You Have Information about Healthcare Fraud at Tenet or DMC? We are actively looking for healthcare workers with inside information of fraud or wrongdoing by Tenet Healthcare. The days of handing bonus checks to doctors who perform more surgeries are mostly over. Healthcare fraud is alive and well, however, and often right in front of our face. But it can still be difficult to spot. Examples can include such thigs as routinely and knowingly cutting corners so that the quality of care becomes so bad as to violate Medicare regulations. Kickbacks disguised as medical directorships or discounted rent. Perhaps billing unsupervised students or NPs as physicians. We have no issue with for profit healthcare organizations. But we do care when those institutions put profits before patients. The focus of a hospital should be to serve its patients, not its masters on Wall Street. Here, several DMC physicians tried to follow that advice and say something. Today they claim they are suffering for speaking up. We urge anyone with inside information to call us. All inquiries are protected by the attorney – client privilege and remain confidential. If you have information, we can help you determine whether or not you are eligible for an award and determine the best way to stop the wrongful conduct. You will sleep better knowing you took the first step in making a true difference. *MahanyLaw contributes a percentage of all legal fees from whistleblower cases to the non-profit Taxpayers Against Fraud Education Fund. These contributions come from our fees and never from our clients’ recoveries.